Separate power supply for MCU and BEC, enhancing the ESC’s ability of eliminating magnetic interference. Note: this ESC can not work with pixhawk flight controller. 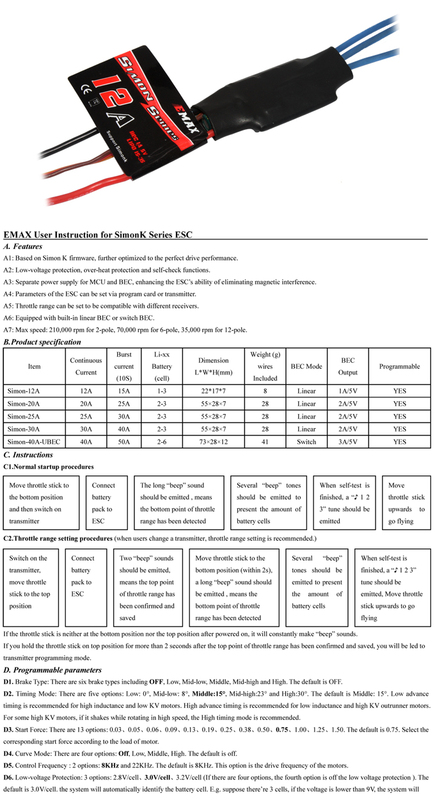 Emax ESC Manual,Please Click Here!